This blog is my place to express my deep, vital passion for cinema and the occasional television program that demands recognition, but I need to go in a different direction right now because it feels right. Actually, it's more than that. I feel compelled to put these words down because it feels necessary. I love three things in this world so deeply that they are capable of literally stirring me to tears. The first is my family, and that doesn't really need much explanation. Nothing is more important. The second is the medium that inspired me to create No Blogging for Old Men, the seemingly endless possibilities of motion pictures that day after day, week after week and year after year continue to dazzle and delight me with new, fascinating ways to tell a story. The third is the Chicago Cubs, and the game of baseball in general. I turned 5 in 1989, and I have vague, mostly inconsequential memories about that years Cubs team despite that season being one of *those* historical landmark moments for the franchise that gets churned up year after year when the narrative turns to those two very unfortunate, annoying words: lovable losers. The 89' Cubs went to the National League Championship Series but lost to the San Francisco Giants in five games, but I don't remember any of it, nor did any of the outcome hurt. How could it? I was too young and the game meant so little to me, but that all changed when my family moved a few towns over and I made a new friend across the street. His dad cherished the game of baseball so much, even playing some minor league ball himself at one point, and I would go over to their house after school each day to watch the Cubs playing in beautiful Wrigley Field. It didn't take any real effort or persuasion for me to fall in love with baseball. It happened quickly and naturally once I was exposed to it on a regular basis. Many complain about the pace of play, that the sport moves too slowly for their liking, but I cannot get enough of it. Each pitch is calculated and to watch one perfectly thrown and located is something that never gets old. Each hit is either exciting or frustrating, depending on whether it comes off of the bat of a Cub or whomever that days opponent may be, but every single one meant something. As a child I would keep score along with the game, marking down every statistic, fascinated by both the personal achievements of individuals and the bigger picture accolades of a team. 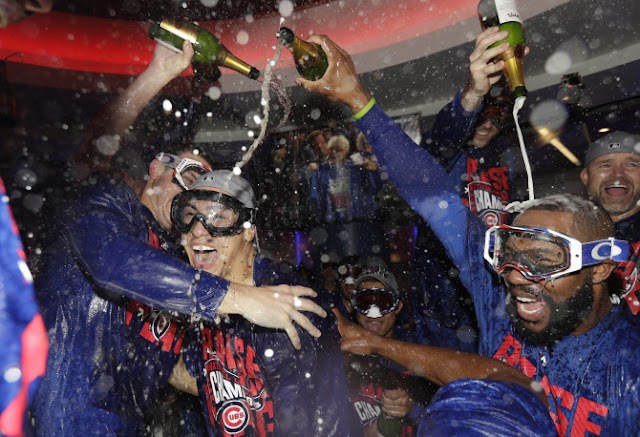 As a child I would dream of seeing the Cubs go to the World Series, and maybe even win it. If you have noticed that I haven't been writing about films as much over the last few weeks, first let me take a second to thank you for noticing which means you actually read enough of my words to care. I can't tell you how much I appreciate that. If that does apply to you, I needed to write this to explain that for 11 months out of the year it's really easy for me to focus my energy and passion on cinema, both good and bad, but if the Cubs are good, October just isn't going to happen. At least while they are still alive and fighting for that ultimate goal. It isn't that I don't care about the regular season, trust me I do. I rarely miss a game whether it is being played in May or September, but during those portions of the year I usually don't spend hours at night after the game is over either soaking in the afterglow of a win or dwelling on a heartbreaking loss because after 27 years of watching baseball, it's safe to say both are going to happen a lot. A game ends at 9 or 10 at night and afterwards I either watch or write about a film. Easy and simple as that. Not during October though. Every game is an event that I pour myself into, standing on every two strike count, screaming with each run scored by the Cubs and swearing each time the other team crosses the plate. It's too much emotional energy to be able to flip a switch after the final pitch and shift gears onto something else. On the one hand, a dream has come true this year as for the first time in 71 years, the Chicago Cubs are playing in the World Series. Just typing those words is still a bit surreal, even given their current predicament. I write this with them now down 3 games to 1, backs against the wall, and the likely outcome is another year with that sharp pain in my stomach that stings of disappointment and delayed satisfaction, wondering if and when the elation of pure joy will come when they go all the way. It's probably going to happen, and accepting that makes it a bit easier, but maybe Jon Lester throws a beauty tomorrow night against Trevor Bauer and keeps this thing going, giving the Wrigley faithful a reason to celebrate one more time this season before the lights go down. Maybe Jake Arrieta steps on the mound in Cleveland on Tuesday night and dominates for the second time this series, and the return of Kyle Schwarber's bat to the lineup sparks something special. Maybe we get a memorable pitcher's duel on Wednesday between Kyle Hendricks and Corey Kluber, an unforgettable Game 7 that somehow breaks the Cubs way. Maybe. 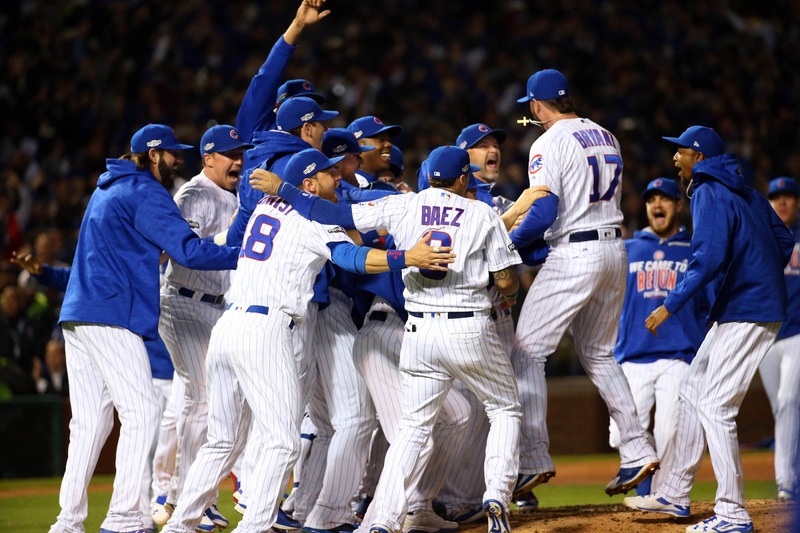 Over the long history of baseball, six teams have come back from a 3-1 deficit to win the World Series. The odds aren't great, but maybe that number changes to seven in a few days. For now though, I want to take this one game at a time. I just don't want this to end tomorrow night. I want to be able to put on my Cubs shirt on Tuesday, sit down in front of the television and scream or swear with each run. I want to hope for another game on Wednesday. There is a part of me that cannot wait to get back to taking a deep dive into cinema, reviewing films and catching up on those I have missed over the past month. I can't wait to update and expand on my 2016 rankings, see if anything can dethrone the unlikely best picture of the year thus far, a massive documentary that aired as a television special about a former NFL player that probably (pretty much definitely) killed his ex-wife. I see previews of pictures like Doctor Strange, Rogue One, La La Land and Moonlight and I think about the different ways those stories can enlighten, excite, move me or just put a big, dumb smile on my face. A lot like the smile I had when I was young and was either watching Star Wars or Greg Maddux, Andre Dawson, Ryne Sandberg or Mark Grace take the field on a gorgeous, sunny Chicago afternoon. Actually I can wait. I can wait a few more days before my focus turns back to film. Give me until late Wednesday night to get every last ounce of pure baseball passion out of my body, because in my 32 years I have never seen or felt an October like this. 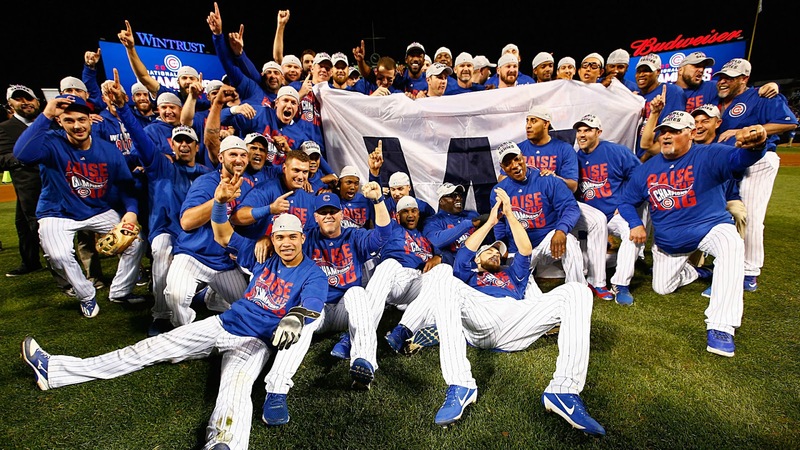 No matter what happens, it's safe to say that this is the greatest Cubs team of my life. They are playing in the World Series and this fact is not lost on me. Just go win a ballgame tomorrow night and guarantee all of the Cubs fans out there at least one more. I shall return with my movie thoughts and I'm thrilled to do so with Oscar season ready to kick into full gear. I can't express enough how much I appreciate anyone who has read a single word I have wrote in the past. For now, though, I will think of those that taught me how to truly love the game of baseball. Those that loved the Cubs deeply and passed away without ever seeing them win. The family and friends out there that probably aren't sleeping very well right now dreading another year that ends in heartbreak. Go get a win tomorrow and bring it back to Cleveland on Tuesday. Keep it going for Grandpa Rossy. Ah thank you sir. Still surreal.